Not thrilled about how Pennsylvania spends your tax dollars? 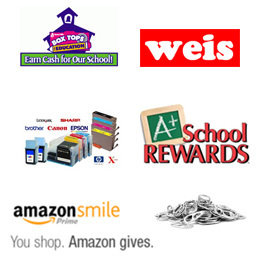 Want to help Faith Christian School financially with very little cost to you? Please consider participating in the EITC Special Purpose Entity (SPE) program in order to divert 90% of your PA income tax to Faith Christian School! Now individuals (and businesses) can participate who have a PA income tax liability of at least $3,500 (on his/her own, or together with a spouse if you file taxes married filing jointly, and one of you are employed by, or owns, a for-profit business)! Even if you don’t personally qualify, please consider family or friends who may and forward this information to them! This program is a great way to close our significant budgeted shortfall for the 2018-19 school year! But this year’s application deadline is December 1st, so please hurry! 3. EITC SPE Donor Instructions – a guide to the application process, even though it’s just one easy form and one check! Interested? Have questions? Please contact Mrs. Angela Fox, FCS Board Treasurer, at foxa@fcslions.org or Mrs. Sheila Boyer in the Faith Christian Financial Services office at boyers@fcslions.org. This unprecedented opportunity is only available until December 1, so please help us direct state funds towards educating students with a Christian worldview! Thank you in advance for your participation and support!! Click here for the EITC Finder’s Credit Incentive Program credit form for those current FCS parents who are spreading the word about our new EITC SPE tax credit program! – although current FCS parents are allowed to donate through the EITC SPE program, you are not eligible to receive the 10% tuition credit on EITC funds that you donate personally. – This form must be received by FCS prior to the funds’ arrival at the school (estimated to happen in January). For more information, please contact Mrs. Sheila Boyer in the Faith Christian Financial Services office at boyers@fcslions.org or 610-588-8815 or Mrs. Angela Fox, FCS Board Treasurer, at foxa@fcslions.org.